Time has really flown by this month. So much happened in the month of May for the good and the bad, but nonetheless I remain grateful. May was full of teachable moments and hearing from God too. I needed God to see me through the grief process after loosing Skylar and He has surely shown up. Every time I’ve attempted to mourn out to God he has replaced my fill in the blank grief moment with a sense of peace and survival. I guess I’ve been a guest on and off of Grief Island and God sends me a plane every time I need rescuing. I am blessed in my mourning and I am comforted. Here are my gratitude moments from the month of May and what I’m setting out to accomplish and do in June. Really incredible friends, upon Skylar’s passing I was struck by how my friends were immediately on the scene for me. A good friend of mine showed up at my doorstep the morning Skylar left us. She was with me as they carried her out. I will never forget how she hugged me. By her presence alone I felt cared for. Grateful. Staying the course isn’t always easy. Instant gratification can be a struggle especially when it comes to money. Since January it’s been hard, real hard, to stay disciplined enough to pay down debt every month. Every fiber of my being wanted to buy, buy, buy. A little retail therapy could’ve gone a long way. But no. I stayed the course and I have two months to go. I was able to attend the Profitable Blogging Summit, a free on line blogging course inspired and hosted by Kirsten Oliphant, podcaster, blogger, and overall amazing writer of Create If Writing who I have already learned so much from. It was one of the best blogging courses I’ve taken and was full of wisdom by some really successful bloggers. I also discovered this really encouraging podcast called Make It Happen Podcast. If you’re a creative or entrepreneur I think you’ll be uplifted. Leave it to me to find a bloggers Meet Up. I was a little nervous I’d show up and be swimming with sharks. On the contrary. I showed up to the blogging event and met some really kind Austin bloggers. The king of dad bloggers happens to be Austin based Texas Dad Blogger. He shared so much with us. Cute, cute. They have maternity wear too in case you’re in the market for that. I mistakenly ordered maternity wear…don’t laugh too hard. A trip to see my dad and my family in Kansas was so refreshing. I’m so grateful for getting to see them and spend such precious time with them. May brought sad news of the loss of a dear family member who was brutally taken from us way too soon. Time is fleeting. Don’t wait to talk to your family. Don’t assume dear friends are fine, ask questions and talk to the people you care about. Beagle Ball, you know, a fundraiser gala event with people attending, but also a whole bunch of beagles for beagles. I want so much to be able to host a fundraiser for the Hound Rescue of Austin in hopes of raising thousands of dollars for them, in memory of Skylar. I’m gonna research this and see if there’s a way to do it. That I’d make the right choices that fall in line with a financial course I’m charting. Go paddle boarding, head to yoga + mimosas, look for Austin’s best sno cone, and visit Blue Hole (a natural Austin treasure) which I’ve not been to. This is just a preview of my Summer bucket list. Come back for my next post where I’ll share about my Summer Bucket List of 2016. Hoot Suite, Yoast PlugIn, and how to handle Mail Chimp and to step out in confidence with an email campaign. What are your goals for June? What’s #1 on that list? Are you hoping for something special? Tell me in the comments. June is full of helping others be successful, a good visit with a friend, and at least 159 miles towards my 1000 mile challenge! 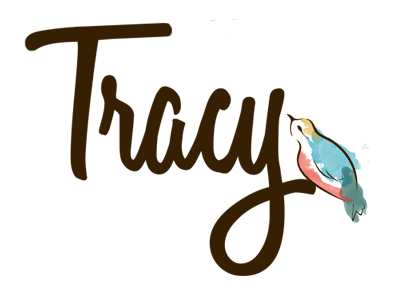 Great blog Trace sounds like you are doin great! Miss you! My goals are to plan out my posts while I am on vacation and figure out how to make it sustain itself while I am gone. It sounds like you had a lot of great things happen in May. I’m so sorry for your loss, but I’m glad you had support. Best of luck in June!